This week’s HART Weekly Round Up includes blogs, responses from the government to Baroness Cox’s written questions, and a summary of the top stories from the countries where we work. Burma’s Forgotten Minorities: The suffering of the Rohingya has made headlines around the world. Yet Burma’s other persecuted minorities are not getting any international attention. Fulani Herdsmen on a Deadly Mission: Fulani herdsmen were the 4th deadliest terrorist group in the world in 2014, higher than Boko Haram. How much do you know about them? To ask Her Majesty’s Government when they expect the independent inquiry into the application of Sharia Law in the United Kingdom to conclude; and when they expect the report to be published. Professor Mona Siddiqui’s independent review into the application of Sharia law in England and Wales is expected to report to the Home Secretary in the coming months. The Government will consider the publication of the review and its response, once the review report has been submitted. To ask her Majesty’s Government what has caused the delay in publishing the report of the independent inquiry into the application of Sharia Law in the United Kingdom. The Government independent review into the application of Sharia Law in England and Wales is not delayed. The new chair, Professor Mona Siddiqui, is expected to submit her review report in the coming months. To ask her Majesty’s Government what type of assistance they provided to the Syrian opposition between 2015 and the latest date for which figures are available; which factions associated with the Free Syrian Army received that assistance; what was the nature of that assistance; and what was the cost. Through the cross-government Conflict, Stability and Security Fund (CSSF) for Syria the UK is supporting those groups opposed to Daesh and Assad as well as Syrian civilians and their communities. This support to the moderate opposition has included political support and non-lethal equipment. In terms of equipment, we have provided communications, medical and logistics equipment. We have also provided equipment to protect against chemical weapons attack. For security reasons we do not disclose the names of groups supported. The UK does not supply weapons to anybody in Syria. The value of the CSSF for Syria is £69 million in the current financial year, was £64 million in 2016-17, and £66 million in 2015-16. To ask Her Majesty’s Government what was the source of their funding for the Syrian opposition since 2015; and whether those funds were provided from the international development budget. Through our Conflict, Stability and Security Fund the UK is providing over £60 million annually to support those groups opposed to Daesh and Assad as well as Syrian civilians and their communities. This is a cross-government fund run by the Foreign and Commonwealth Office, the Department for International Development and the Ministry of Defence. The majority of this spend is Official Development Assistance. Through this fund, we are helping to meet the needs of Syrian communities by supporting local governance, the delivery of key services (including education, basic policing and search and rescue services) and livelihoods in areas controlled by the moderate opposition. To ask Her Majesty’s Government, in the light of the statement by the Prime Minister’s spokesman on 5 September that information relating to the Azerbaijani Laundromat scheme received from the media would be examined by the National Crime Agency (NCA), whether they have asked (1) the NCA, or (2) a financial regulator, to examine allegations relating to UK-registered companies and partnerships. Investigations into allegations of money laundering are conducted by law enforcement agencies such as the National Crime Agency, the Serious Fraud Office, and the police. Decision in whether to investigate and how to do so is purely a matter for law enforcement. The NCA, SFO, and the police of are operationally independent of the Government. 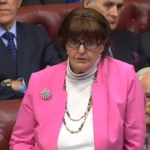 For more on Baroness Cox’s parliamentary appearances, click here. Diplomats urge government to let UN experts visit Rakhine – Burma currently allows no UN officials or media to visit the region on the claim of security issues. A few diplomats were recently taken on a selectively planned tour of Rakhine, away from the areas of violence. More than 500,000 Rohingya refugees are now in Bangladesh, with more arrivals every day and numerous reports of severe malnutrition. Burma’s Northern Shan State and Prospects for Peace – Armed conflict between the Burmese Army and various ethnic armed organizations continue to threaten the peace process of the National League for Democracy government led by Aung San Suu Kyi. Around 9,000 Shan and Karen refugees remain in limbo after their food aid was cut this month. 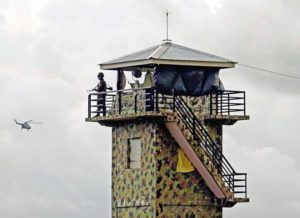 A Freedom of Information Request has prompted the Foreign and Commonwealth Office to release details about the agenda of Foreign Secretary Boris Johnson’s visit to Nigeria earlier this year (August 2017). 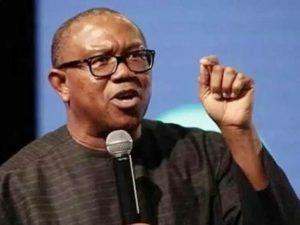 Former Governor of Anambra State, Mr. Peter Obi saturday said that Nigeria under the leadership of President Muhammadu Buhari has failed the country. He noted that the various agitations across the country was the cumulative effect of leadership failure that has ‘bedeviled the country since its independence’. Our guest blog from this week looks at the Fulani Herdsmen in Nigeria and why they gain such little international media attention in comparison to Boko Haram, despite being deadlier. 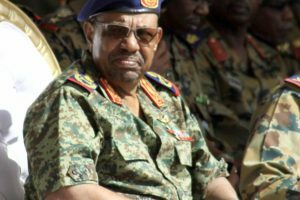 US expected to end sanctions on Sudan – Despite huge opposition from activists and organisations like HART, it is reportedly likely that US sanctions on Al-Bashir will be lifted today. Treatment of minorities in the Nuba Mountains and Blue Nile continues to be dire, and the regime maintains its contempt of human rights. Sudan’s Al-Bashir to change constitution to run for a third term – Under the current constitution, the president’s second and final term is set to end in 2020. 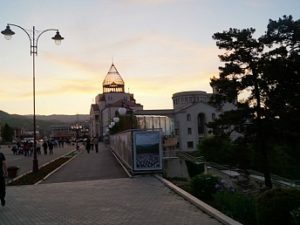 Although, it was widely expected that he would step down from office, sources have revealed that NCP is planning to bring forward a proposal to review and rewrite the constitution to allow the president to run for a third term. 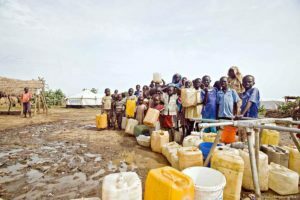 The Sudanese government has agreed to open humanitarian corridors to deliver food aid to South Sudan, the South Sudan Relief and Rehabilitation deputy commissioner said yesterday. The corridor is expected to allow the movement of 1,000 tonnes of food to areas suffering with food shortages, particularly along the Sudanese border. More than half of girls in South Sudan drop out of school before the age of 18. Many come under pressure from their families to get married. But teachers in one school in the rural town of Rumbek are working with the community to change attitudes, and help girls to finish their education first. Uganda has pledged to supply power to two South Sudanese border towns as part of the East Africa Community agreement to help member states. 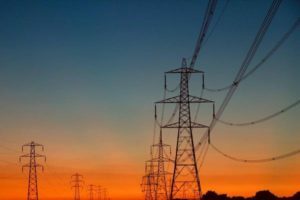 Major parts of South Sudan are without electricity and the few parts connected to the national grid suffers frequent load shedding and power outages. 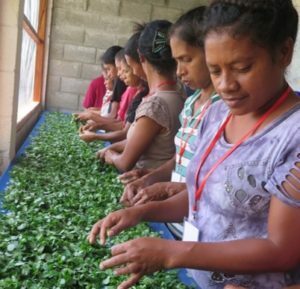 This week’s blog looks at the use of the Moringa plant in Timor Leste, and how it is a miracle food for those suffering from malnutrition.